I have Electrical Hypersensitivity and since I moved to Berkeley 4 months ago, I have been having a lot of trouble with the electrosmog here. My sensitivity has gotten worse and worse across this period, and now living in Berkeley is no longer tolerable for me. I have been desperately seeking housing outside of the East Bay. Yesterday I got my “basic RF meter, ” and was able to go outside and measure RFR levels (“radiofrequency radiation,” which comes from things like wi-fi, cell phone towers, radio towers, and…Smart Meters, the new wireless technology for our gas and electric meters being installed by PG&E). I went around the neighborhood measuring RFR, to confirm what is troubling me so. It is the Smart Meters that are installed on every home and office in the East Bay. When I walked around the neighborhood, there were measureable changes in RF radiation, as I neared and moved away from the closest radio tower (.15 miles from my home), but the biggest measurable changes in my home and immediate neighborhood came from the Smart Meters. At a close range and moving away several feet, the Smart Meters were giving off a burst of signal so powerful that my RF Meter was measuring them in the Red-Danger! range (according to the exposure standards set by Switzerland, Italy, and Russia, which are lower than U.S. standards.) The Smart Meters were pulsing a signal every few seconds. There is overwhelming new research on the cellular and health damages caused by RF and ELF radiation; see the BioInitiativeReport.org, summarizing 2,000 peer-reviewed studies showing the damage, by scientists worldwide. As I moved toward my bedroom, the readings on my RF Meter would subside a bit, but were still pulsing at the low end of the Red-Danger! range. (My bedroom is 10 feet from 2 Smart Meters for my property, 28 feet from the Smart Meter for my next-door neighbor’s property, 50-60 feet from the 6 Smart Meters for the office building next-door on the other side, and not much farther from the 23 meters on the 2 apartment complexes next door.) At this time, it is required that every home have a Smart Meter, and you cannot opt out. But even if you opted out for your house, your home would still be blanketed in the electropollution caused by your neighbors’ Smart Meters. There is a worldwide effort to get governments to update their obsolete standards for RF and ELF radiation exposure safety, since most of their current standards are based on the science of “thermal heating” of human tissue. It has been found that radiation causes cellular damage and health effects at levels of radiation much lower than the levels at which thermal heating of tissue begins. The roll-out of Smart Meters is complete in the East Bay. We are blanketed here in a new field of RFR radiation such as we have not yet seen in America. The effects that I am experiencing, 24/7 are: acute agitation, acute over-stimulation, inability to concentrate, inability to remember, inability to connect with people very well, inability to connect with myself very well, inability to read/learn very well, sleep disruption, and sensations coursing through my body. I can’t relax, be calm, or be present inside myself very well. The neurological disruption is acute. I have been trying very hard to get out of the East Bay for awhile now but have not found alternative housing yet. I go to Marin every other day for a reprieve (they don’t have many Smart Meters yet), and I can feel my nervous system start to settle down over there. 3-8% of the population has Electrical Hypersensitivity. 35% is moderately sensitive. There are worldwide examples of communities pushing back at the new wireless technology roll-outs. The French public library system got rid of wireless internet, because so many of their employees were becoming ill. Public school systems are making historical decisions to get rid of wi-fi and other electropollution. Some countries are switching to the new biologically-based safety standards, updating the old thermal-heating-based standards. 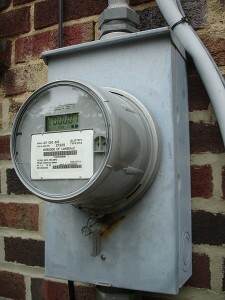 The roll-out of Smart Meters has not yet occurred in other parts of the Bay Area. The meters are quickly being rolled out in Petaluma, and have started being rolled out in Fairfax. There are published schedules for PG&E’s roll-out. 10,000 Smart Meters are being installed per day. Due to the health dangers, and/or a number of other reasons, municipalities and others in the Bay Area have asked the CPUC for a moratorium on the Smart Meter roll-out. These include: The EMF Safety Network, the Utility Reform Network (TURN), State Senator Dean Florez, the City and County of San Francisco, the Santa Cruz County Supervisors, Sonoma County Supervisor Efren Carrillo, and the Cities of Sebastopol, Cotati, Fairfax, Bolinas, and Camp Meeker. Along with the Smart Meter roll-out, which provides a great deal of income for PG&E and its computer industry partners, Wi-Max (high-powered wi-fi antennas that reach across 38 square miles) and Broadband Over Power (wi-fi that comes in on your housing electrical wiring, and makes your entire home a strong field of RF radiation) are also being rolled out across the country. Wi-Max is a multi-billion dollar collaboration between Sprint, Clearwire, Time Warner, Cable, Google and others which would blanket the country in a dangerously high level of radiation. It is a crime, by the FCC, to refuse placement of a cell phone tower based on environmental/health reasons. You would be sued for billions, if you tried to stop placement to protect your community or home. This became federal law with the Telecommunications Act of 1996. The cell phone tower placed beside Ecology House in San Rafael, where a number of people live who have Multiple Chemical Sensitivities and Electrical Hypersensitivity, was fought, but the people of Ecology House were advised that it was not legal to fight against tower placement using any concerns about health. They lost. Right now the CPUC is considering all these Bay Area requests for a Smart Meter moratorium. Could you please add your name to the public outcry, especially by contacting the CPUC at this time, to persuade them to make an historical decision. I have included contact information at the bottom of this email. Sue Bozzo took leave from Ph.D. work in Mythological Studies from a Depth Psychological Perspective 8 years ago due to chronic illness. She has since become a dedicated practitioner at Spirit Rock Meditation Center. She has spent the last 3 years essentially homeless due to severe electrical hypersensitivity, moving from one temporary spot to the next as she seeks a long-term, safe-enough home. She intends to recover, pursue a career as teacher and healer, and be a morally responsible “canary in the coalmine.” She is grateful to her illness for the dramatic awakening that it has demanded about lifestyle and urgent global ecological concerns and psychological growth and healing. This is really, really scary for all of us. I think the way this technology is marketed, as “green”–making consumers more aware of power usage so they cut it down (though in reality the utility companies are earning more money and will charge for “peak” hours)–and so that household devices are synced with meters and the entire house is full of smart metering signals—–that it is a wave that’s impossible to stop. I think we should all be looking ahead to how we can go off the grid, at some point. Though there is no total protection. They are going to Wimax the Navajo nations. Rural areas will eventually be blanketed, too. Still, if you source your own power from wind or solar, which can be done, and drill your own well, and have acreage, you can be safer. There are scary times ahead. I’ve lost almost everything to EM sensitivity; my home, my career, and a great deal of my health. It’s over for me.. I don’t feel that I will ever regain the brain power I have lost. I’m trying – trying – to find a way to get as far away as possible, but having lost everything to this madness, it’s just not going to work. I don’t know how I can fight when I have trouble stringing two thoughts together in my mind. The most important thing I can say is this: if you can’t do anything else, please keep wi-fi and cell phones away from your children. My friend drove through Kansas recently. The air was terrific, through the whole state (she’s been wilderness camping for 18 months and recovered from severe CFS/mold sensitivity by being in wilderness areas). Low EMF. Low mold. CHEAP housing. Many of us have CFS/lyme/ME/MCS/EMS…its a total breakdown of the system. So it would be hard to find a place that works for us all. OTOH I really think we should start lobbying for some EMF free zones around the country. Perhaps where MCS folks already congregate, although I wonder if MCS folks have neglected some really good cheap states. Such as Kansas. There are also parts of Texas that are pure ranchland at 2000 feet that felt really good to me (as opposed to parts of Texas that are awful). Perhaps parts of Nevada near the California border–a lot of people get better there. If we start thinking ahead maybe we can establish chemical free EMF free zones. I know Julie started reshelter. Its something to think about, though. Its getting so complex its daunting. NoEMF, please don’t feel it’s over for you. There is always hope. My symptoms did improve when I got away from other people’s WiFi, cell phones, cordless phones, overhead fans and A/C units. Life became bearable again. Making sure you get a lot of minerals and nutrients through diet can help some people, too. Jen, Kansas sounds good but I would be concerned about pesticides and tornadoes. Do you have more info about those things in the areas you saw? Just as an FYI, a bunch of people with MCS/ES in my area are currently organizing against wind and solar farms. Because we are so rural, the land is attractive to wind farm developers. But these are a nightmare for those with environmental sensitivities and seizure disorders. Those wind turbines create vibrations and sound at great distances, have flashing lights, and can break/crash due to ice load, etc. It’s almost impossible to stop this from happening, the best we can hope for is probably creating set-back limitations. One person who is severely EMF sensitive and lives off the grid is at risk of having wind turbines very close to his home. It’s awful. After all those years of planning and building only to be threatened by this now. People are working very hard to stop it but who knows how effective it will be. Like you said Jen, cloaking these as “green” and “environmentally responsible” garners a lot of support but if you break it all down, it is not necessarily any more energy efficient. Hi Julie, my friend is sensitive to pesticides and can taste them–but she felt good driving thru Kansas. They do have a lot of farming tho. So I don’t know what to say. Haven’t been there myself. To all of you that are concerned as to finding a safe haven to live. I just came back from a town called Greenbank in West Virginia. There is a radio telescope there that listens to the radio frequencies of the stars. Because they are so sensitive there is a law that prohibits the use of all radio, cell phones, wifi, mobile phones etc. There is NO electrosmog. No radio or TV stations. Cell phones do not work! I felt just amazing! There are a lot of people that have moved there that are electrosensitive. There are campsites, motels, bed and breakfasts. You can have high speed internet if it is wired. You can have sate-light TV. There just are no wifi and for sure there will never ever be any smart meters. So get yourself to greenbank and camp for the summer and get well. Make friends and work on the farms there. Or work from your home on the internet. How large of an area is Green Bank? Have heard of it before but so far away but it does sound ideal. They tried to install a smart meter at my house last week, but I told them no. The guy walked off in a huff and said “PG&E will be back to deal with you.” These are strong arm tactics. We are “forced” to have these with no opt-out or exemptions for people who have autoimmune diseases and the like? Have we gone that far down the rabbit hole that we’ve become a corporate-state? This madness has got to stop. The only good news is that people of all political stripes seem to be against these things. So how do we get our government to do its job and get these meters outlawed? Sue- thank you for this very informative article. I want to use aluminum foil or screening to shield the inside of our house but I know we need an RF meter to measure the success of what we are doing. We live in downtown Berkeley. Can we rent an RF meter anywhere or do you go out and consult with your meter with people? If you do this sort of thing, can you let me know roughly what the consult might cost? Has anyone tried any EMF blocking devices? Or earthing or grounding mats/devices? How about Earth Calm products? Apparently there are a lot of solutions or partial solutions out there that are helping people, but would love to hear from someone at PT who has used any of these products.